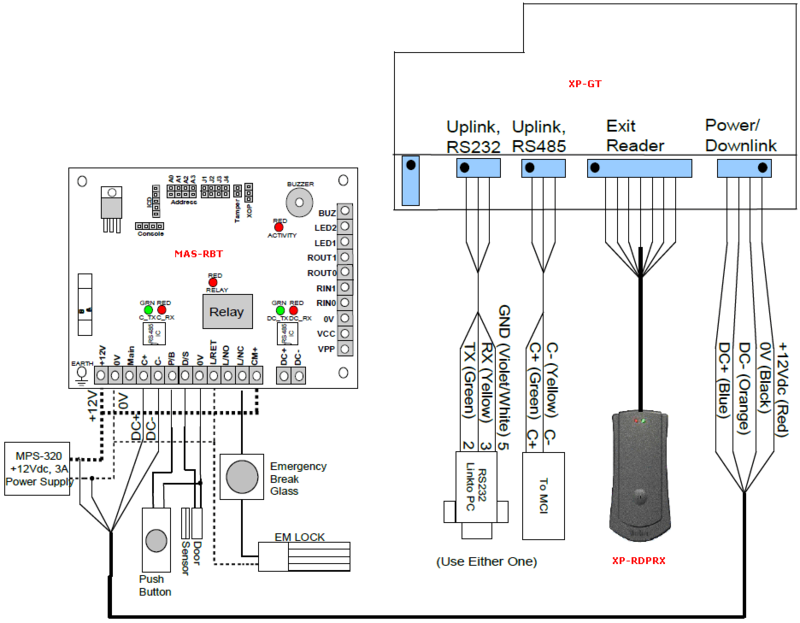 How to set XP-GT controller for entry and exit door for single door? This article contains steps to configure a single XP-GT controller door as Entry and Exit. Required 2 units of XP-GT controller. 1 unit set as Entry reader while the other 1 unit set as Exit reader. 1 unit of XP-GT controller connect with external reader such as XP-RDPRX. 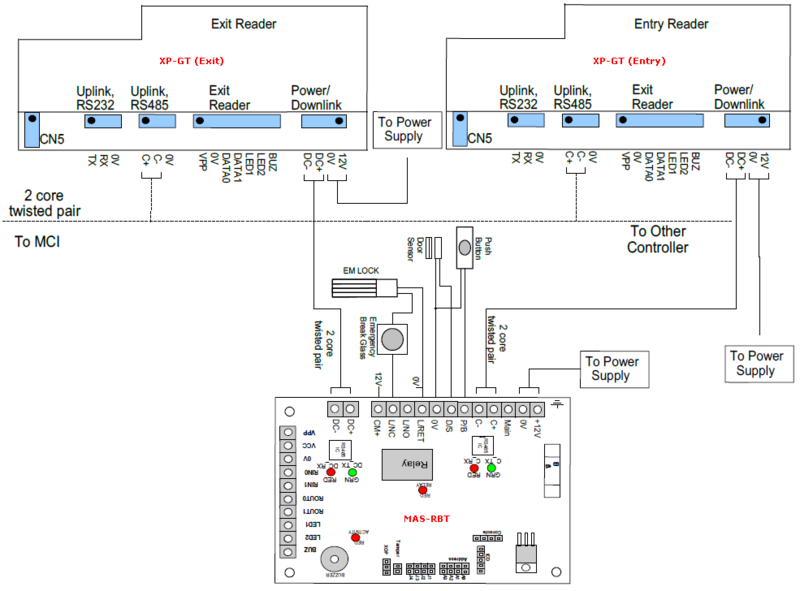 Set the controller/ reader as Entry or Exit. You must enter the reader's Programming Mode and then configure the 'As Exit Reader' menu from the Door Parameter. If you enabled it, the reader will act as 'Exit Reader' otherwise, it will act as 'Entry Reader'. Refer to the wiring connection above and ensure it is correct. Enter .Press '1' for System Menu › Press '2' for Door Parameter. Use the and buttons to navigate the menu to the desired parameter. Modify the parameter values by pressing , followed by the desired value and again to confirm. Find As Exit Reader parameter and modify the value accordingly. To set the reader as Entry Reader, set the value to OFF. To set the reader as Exit reader, set the value to ON. The changes will not be saved if the configuration is interrupted midway. Use the button to return to the system menu. You will be prompted to confirm your changes before exiting. Press to confirm changes. Repeat steps for another reader. If this reader you set as Entry reader, please set the other reader as Exit reader. Find the door parameter As Exit Reader. Refer to the steps (1 until 8) at Option 1 above. If you wish to set the XP-GT controller as Exit Reader, set the value to ON. Otherwise, set the value to OFF to enable the XP-RDPRX to become the Exit Reader. Summary: This article contains steps to configure a single XP-GT controller door as Entry and Exit.